Many women love having long, thick and full eyelashes, which they consider the ultimate perception of beauty. However, not everyone is blessed with that description of perfect lashes and unbelievably, many celebrities and models belong to this category. Sometimes you may wonder why these people have such perfect lashes, eyelash extensions could be the answer. Carefully selected synthetic hairs are attached to your natural eyelashes using a special adhesive, this will make you look fabulous and stand out. With these, you’ll feel confident as you walk around. Eyelash extensions allows your eyes to be dramatically enhanced, looking brighter, bigger, and more youthful. With this treatment, compliments will begin pouring in and this increases your self-esteem. Lash extensions are weightless and it looks completely natural. You may not even remember that you are wearing them thus; you’d go about your day as per normal. Whatever activity it may be, swimming or even in the shower, you don’t have to be worried that they might irritate your eyes. With eyelash extensions, you don’t have to rush every morning to do your makeup. You can enjoy your sleep a little longer. Lavish extensions naturally frame your eyes and emphasize them so much that you don’t have to keep curling them or applying the eye makeup. Some people will also feel naturally beautiful in their own skin after having eyelash extensions and be more comfortable leaving the house without make up. So after a long day, they wouldn’t even have to be bothered with taking make-up off. Eyelash extensions look good on their own and therefore you don’t have to buy any mascara tubes to bring them out. Here, you’ll literally forget the days of layering mascara and those risking smudges are no more. So it will enable you to save money, giving you more financial freedom for your important tasks. 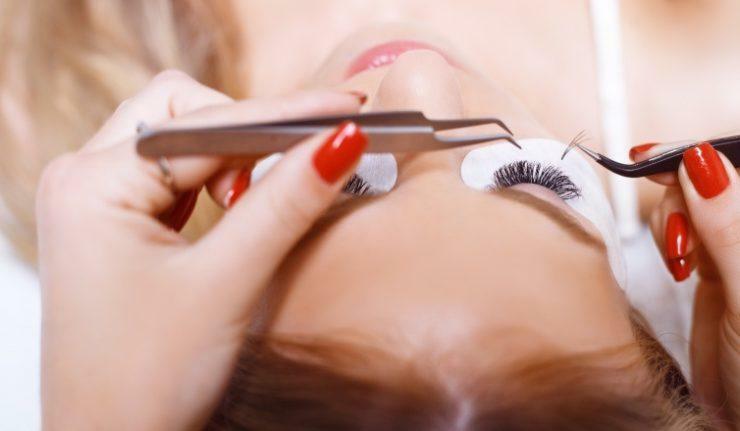 Depending on how skilled your technician is, fixing eyelash extensions can take up to three hours. After that, you will only need to do some touch ups or fills every three to four weeks. You’ll be spending less time in the salon and this saves you a lot of time and money. Again, the eyelash extensions price you’ll spendfor touchups is not comparable to the ordinary make up. When you have eyelash extensions, you have more time to run other errands and the money that you’d have spent on everyday make up is saved.